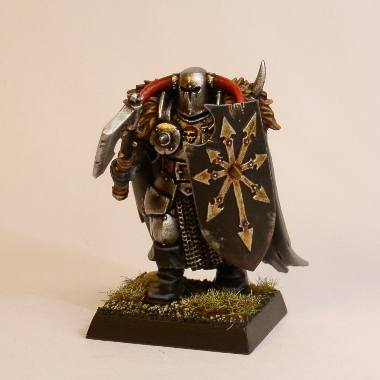 Being part of the chaos army project this warrior shows the effort I have put into this army! - An all-in-one tutorial showning the whole painting process cronologically in a single long scroll of pictures and text. 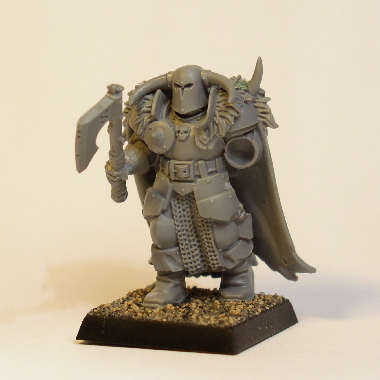 - However, to make the tutorial more useful in general I have also devided some of it into several mini-tutorials dealing with painting red horns, painting fur, painting grey cloth, painting leather, and of course painting metal.